The author of Cloud Atlas, The Bone Clocks and, most recently, Slade House, on supernatural forces and the ice in his heart. It’s just before Halloween, and David Mitchell11Full disclosure: Mitchell is published by Penguin Random House Canada, which also owns Hazlitt. is in London, sitting in an alcove in George Handel’s bedroom: the dark-grey chamber where the composer slept, bathed, and eventually died, in 1759. The house was once said to have a ghost, so an exorcism was arranged before it was opened to the public as a museum. Downstairs, someone is rehearsing feverish baroque music on a harpsichord—an instrument whose sound Sir Thomas Beecham allegedly compared to “two skeletons copulating on a tin roof”—and this particular one looks like an open casket on legs. Mitchell is enthralled by the setting. The Ireland-based, English-born author is here, in part, to plot out a scene in his next novel, which is about the folk-rock scene in London in the 1960s, when Jimi Hendrix lived just next door. He’s also discussing the book he has just published: Slade House, a haunted tale that takes off in decidedly Mitchell-esque directions. As with his other books—among them Cloud Atlas and last year’s The Bone Clocks—it’s really a collection of shorter tales conjoined in surprising ways. Slade House is comprised of five intertwined chapters, each set nine years apart, from 1979 to the present day, in the same looming English mansion. 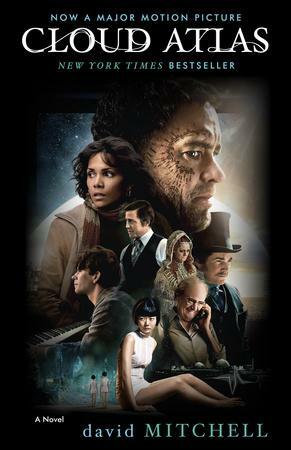 Five very different characters—a 13-year-old boy, a policeman, a university student curious about ghosts, and so on—are drawn to the house, where they find themselves contending with its shape-shifting dark forces. 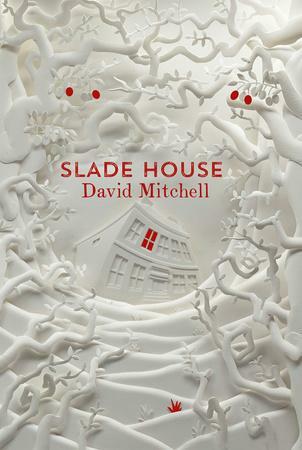 Twice shortlisted for the Man Booker Prize, Mitchell has an appetite for genre fiction, and Slade House is his most straightforwardly fun work; it’s scary, too. Was Slade House inspired by a real-life place? I don’t mention it in the book because I don’t want to inoculate people against the fear that it’s their home town … but my brother lives in Reading. 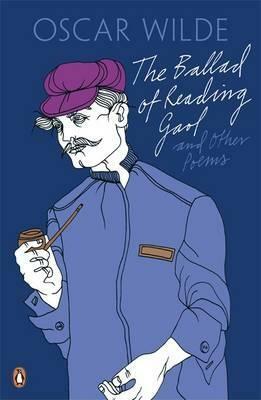 It doesn’t appear in literature very much, apart from [Oscar Wilde’s] The Ballad of Reading Gaol, because every author knows that most of the world will be mispronouncing it as “reeding.” It’s not often stocked in the TripAdvisor Top 30’s of the British Isles, but it’s a great microcosm of the country. It’s got Roman connections going back way, way before England; it was a staging post town on the Georgian routes out to Bath; and it had a busy industrial revolution which brings it into this era. I always wanted to do something with the townscape—it’s quite distinctive and very English. In my imagination, Slade House is set in Reading. Have I just kicked off a mini-tourist boom? You wrote the first chapter as a story on Twitter, and the novel grew from there. Did you have in mind that you were writing horror, or was it just that it turned out that way as you took the original story to its logical conclusion? The latter more, but I was aware that it would be flecked with horror. It also wanted to be more than abattoir horror, because where’s the fun, where’s the character development, in sheer abattoir horror? That’s more some pornographic product for teenagers, which is great if you’re a teenager: I enjoyed A Nightmare on Elm Street as much as anybody. The Exorcist is the least pleasurable, most diseased film—it’s art, and it’s an astonishing achievement, but that’s a zone I didn’t want to take the book into. I didn’t want to nauseate anyone. The Shining gets a beautiful balance of being really disturbing but at times quite beautiful—its horror is aesthetically sublime. External poles of repulsion and gravity exist, but of course if you allow [a story] to be anything, it will be unique. [Having] five parts allows me to do a compilation of possible ghost stories. The first one is a pharmaceutical ghost story—[protagonist Nathan] has nicked his mum’s tablets, and he’s thinking this can’t be happening because it’s these weird drugs in his body. The [protagonist of the] second one is a non-believer; he’s a cop; he believes in procedure. It’s more a psychiatric ghost story: what is happening is inside skulls, not out of them. [In the third story, the protagonist] is quite passive: she is a victim of the narrative. They’re variations on the same thing—three ghost stories, hopefully using that repetition as a device to wrong-foot and mess with the reader’s head. The fourth one is a meta-ghost story—it’s the historical ghost tale. Then the fifth one is the “first person point of view of the ghost” story where, if I’ve done my job correctly, you almost are seduced into forgetting that these people are monsters and they need to be taken down, and hopefully a part of you is always rooting for their survival, against the more ethical part of you which is trying to remember that they’re the agency of evil. It’s seems you’ve bypassed the traditional way of presenting horror stories by offering up the original and its four sequels all rolled into one. Yeah, thank you. The four sequels answer the questions that the first one asks. It was the most painless book I’ve ever written. I had the outlines sketched way back at the beginning; it was a case of filling out those outlines. And I just wrote it in a few months. Great! [laughs] My only ever short book. Would that they were all that easy. Yeah, I suppose so. You also have to bleed for the blues. You have to worry that you’ve shot your career in the foot, and be really nervous about its reception—that’s a healthy part of the process. There’s also the idea in horror that sequels occur because of a reoccurrence of a certain evil: if you got rid of it right away, it would be less compelling. And you wouldn’t have an artistic artifact in the first place—every horror film would be 15 minutes long. Structure takes over. Five’s a great number: it’s got a middle; it’s walking up a mountain and seeing the view from the other side and going back down. It’s no accident that Elizabethan drama is based on five. You can set patterns up: A pattern allows you to be the kid in bed who’s being read a scary story that he’s been read 100 times before by mum or dad or their guardian, and even though the kid knows what’s coming, it’s still scary. 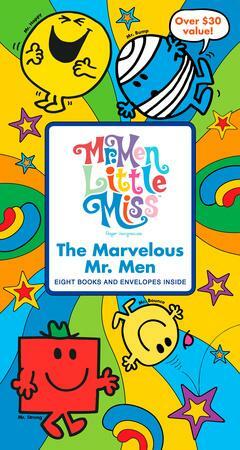 The Mr. Men books did it for me—Mr. Greedy is as dark as hell. He goes into a giant’s castle and starts eating enormous pieces of food, and you know the giant’s going to come and find him. And [you think] “Get out! Don’t go to the table! Don’t eat those peas! The giant’s coming!” No matter how often I wanted to hear it, it was disturbing, but I enjoyed being disturbed. … Were I to posit why patterns exist in longer supernatural pieces, it’s because it sets up that awful inevitability— you’ve been here before, and you’ve seen how badly it ended then, and here we go again. It’s that “Nooooo!” that’s so enjoyable. Masochism? [laughs] And drama—it’s a stage. We flirt with the idea that the fourth invisible wall isn’t there, and the genre does its damnedest to persuade us that the fourth wall isn’t there, that this [horror] can bleed out into our lives, like the malign presences that may or may not have been exorcised in this room. We like that fear; it has chemical pleasures attached to it, and it gives [a story] texture and flavour. This is why we don’t like a diet of nothing but My Little Pony stories where there’s no malign influence whatsoever. Supernatural stories do a very good job of persuading us that they’re not stories. And we play along with that, more so than many other dramatic forms. So while half of us is easily being scared, the other half says, “Don’t worry. It’s only a story. You’re safe, really.” And the stereophonic effect of those two voices, I think, makes a certain thrill in human beings, from Beowulf to The Walking Dead. In a fair bit of horror, there’s masochism, but we can take a sadistic relish in seeing certain characters get killed off. However, just about all of your characters have redeeming values. Is it tough for you on some level when you kill them off? Maybe if I was a nicer person, it would be, but of course there’s a shard of ice in all of our hearts; writers need to cultivate and enlarge it as well. It however is not an amoral universe—there’s a moral compass; it’s oiled and functioning. Enough for the cold, but not enough to cause permanent fossilizing death in the reader’s sensibilities. Often ghost stories are based on a strange premise: If you’re dead, but you’re still around in some way, presumably you can go off and do whatever you want. Why stay at the same house all the time? Surely there are much more interesting things to do with your afterlife. Here, you’ve offered a rationale for why your supernatural beings hang around. Yeah, rationale is important, and the further off the path of realism you go, the more you’d better keep your house in order regarding motives. Nothing kills disbelief like inconsistency and absurdity. My research in real-life psychics and paranormal investigators suggests that [hanging around] happens because ghosts are the fucked-up dead; they don’t know they’re dead, and they stay around because they think they have the right to be here, and these damned people are invading their spaces and just ignoring them. Or they’ve been bent out of mental health by guilt or by abuse or by unfinished business. There’s an obvious tie to your other books right at the beginning—the moon-grey cat that appears in every one of your novels appears, and he’s an ex-cat: his eyes are being licked at by flies. That’s a message to my über-readers to say there’s going to be no help here. Don’t rely on this magic cat fairy to come along and save the day—it’s gone. Cats don’t really die, but as long as you think it’s gone, that’s mission accomplished. 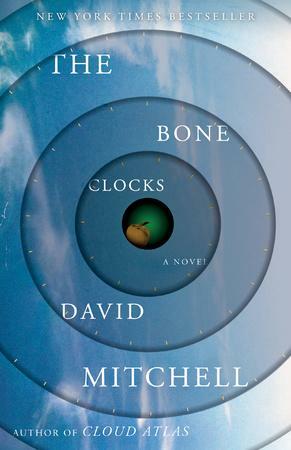 As with The Bone Clocks, there are characters here who strive for immortality, and have outlived human lifespans several times over. The way they speak is a curious concoction of the current and anachronistic. Does it appeal to you to be able to play with ghostly echoes of once-popular turns of phrase? It’s tricky. Their language would become a palimpsest, and they would have words like “wherein” and “insofar.” They would have come of linguistic age in the piggybacked, semi-aristo, Edwardian context, and those words would be in their diet, but it would also be strange if they weren’t also using “OK,” or “all right,” or “so” as in an adjectival modifier, as in, “That’s so not what I’m going to do …” They’d be a jumble sale, a car-boot sale, of lexicon. With my immortals in The Bone Clocks, I made them more consistent; they’re slow to change because they’re so very old. They’re afraid of losing their identities: It’s existentially very difficult to be immortal, to answer the question, “Who am I?” You can’t start speaking in archaicisms because you stand out from the crowd, but you’re slower to take on neologisms. The [immortal characters in Slade House] are addicts; they’re junkies, and they’re less cautious about language acquisition, I think, so they’re more hybridized. What a job, eh? To think about the language use of nonexistent pseudo-immortals: This is what I do for a living. How to explain that to my great-great-grandfather?